We help new motorcycle riders acquire the basic skills needed to ride safe, and help those with motorcycle riding experience become more proficient. REGISTRATION OPEN: This is the new updated version of the Basic Riders Course (the BRCu). This rider training class is often thought to be a “beginner course”, however this is not the case. 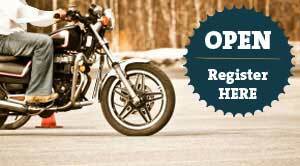 This “basic” motorcycle riders course is designed as a foundation to your motorcycle riding education. It will give those folks, who have not yet had the wind in their face, an opportunity to learn the necessary skills to ride in a safe environment. The curriculum was also developed to help those, who may have many years in the saddle, elevate their skills and learn more effective techniques. This is why, back in 2009, the state of Texas made the BRC mandatory for acquiring a motorcycle endorsement on your driver’s license. 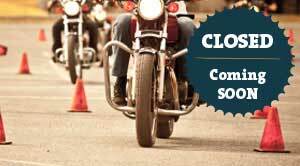 REGISTRATION CLOSED: Formerly referred to as the Experienced Riders Course (ERC): This Lubbock motorcycle training course is designed as a follow-up rider training course to the BRC. This training course focuses on honing the motorcycle riding skills introduced in the previous course; therefore it is suggested motorcycle riders take this course 6 months or 6000 miles after completing the BRC motorcycle training course.